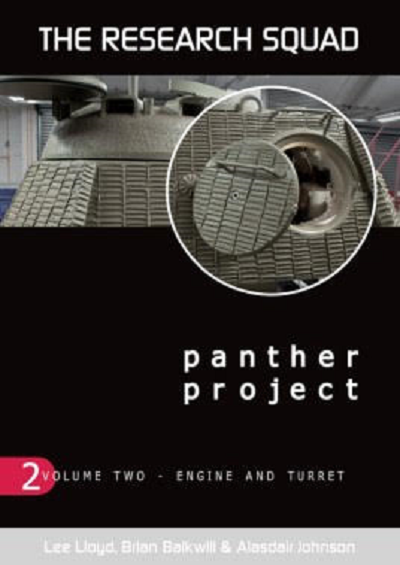 ​This second volume in The Panther Project series tells of the detailing and incredible restoration being carried out on a Panther Ausf. A in the workshops of the Wheatcroft Collection. This volume comprises 208 pages, covers the period 2009 to 2018, and concentrates on the restoration of the turret and its contents, the Maybach 230 P30 engine, and various components of the cooling and fuel systems of 5 Panthers that are being restored. It contains 440 color photos and 13 A4 diagrams, including 45 pre-restoration images and a wartime history. The book is soft-bound, as said, and the pages are 8 1/2" x 12" page format. AFV Modeller is based in the UK.